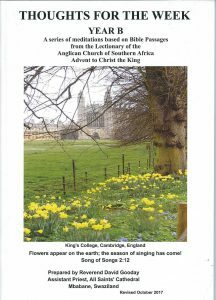 Click here for the list of Collects for Year B: Advent 2017 – to – Advent 2018. This booklet was written to celebrate the centenary of St Mark’s parish in Athlone ( 1901-2001). Copies are still available at R70 each + R48.75 postage. the book offers something to theologians, pastors and bible study groups. Particularly outstanding is its relevance to the South African context…. 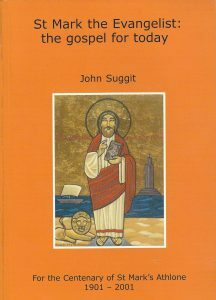 John Suggit shows how openness tot he claims of Jesus in Mark leads to new and unexpected possibilities for those who have the courage to follow as his disciples, even when they fail. The names of three candidates namely, the Revd S. Bam, the Ven Moses Madywabe and Bishop S Seleoane, were considered for the election of a Bishop for the vacant See of the Diocese of Khahlamba today. After the first ballot, the Ven Moses Madywabe was elected as the second Bishop of Khahlamba. Please keep the Bishop Elect, Moses, his wife Thembisa and children in your prayers.